Want a bold motivational phrase to get you through the day? 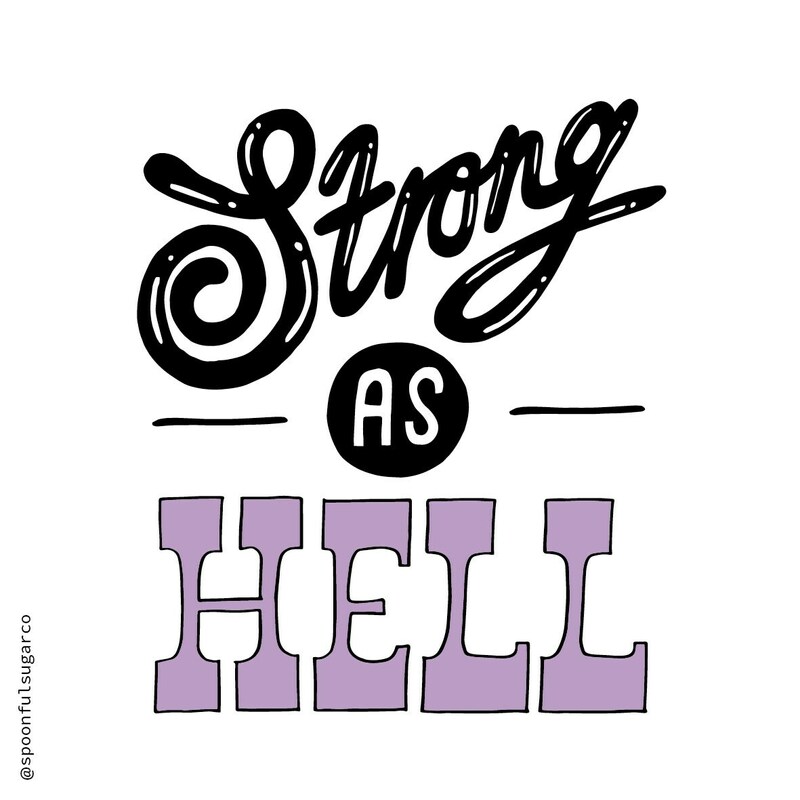 The new Strong as Hell t-shirt has been designed just for you! 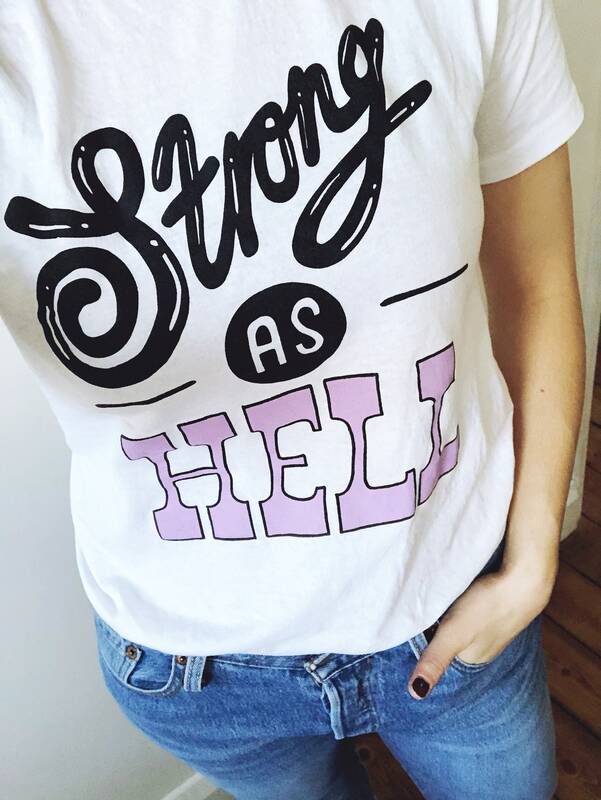 Made from 100% white cotton, the fun Strong as Hell design is based on my original, hand drawn typography and is printed in a gorgeous bold black and luscious lilac. 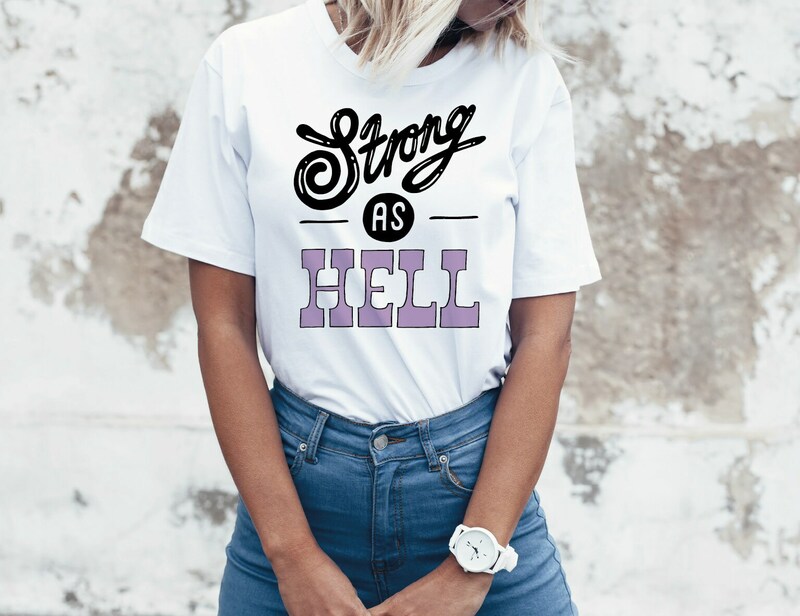 Your Strong as Hell t-shirt comes wrapped in a protective bag, ready for you to rip open and wear or wrap up as an ace best mate gift. If you love this, then check out my typographic prints!